When it comes to choosing the best mattress for your futon, there are plenty of options. Futons are great pieces of furniture to invest in so you want to make sure you get it right. In this guide, I will talk about how to choose the best mattress for your futon. The choices for your mattress for your futon are as versatile as the frame itself. Here are some ideas on how to choose the best mattress for your futon. One of the first things to think about when buying the best mattress for your futon is the size of the frame. Make sure you take measurements of the frame itself so you have a better idea of what to buy. It’s also a good idea to measure the room it’s going to be in. This is so you can rest assured that everything will fit neatly. You don’t want your room to be overly cluttered with a futon that’s too big! A large Queen sized mattress, for example, may be the most comfortable, but won’t necessarily be the best. This is because it’s unlikely to fit into a smaller room. The purpose of the futon will help to determine the best mattress you need to buy. It’s a good idea to consider how often the mattress will be slept/sat on. If you’re going to use the futon a lot then you’ll want a mattress that can last a long time. If it’s only going to be used occasionally by guests then the best mattress for you will be a more affordable one. You don’t need to splash out on an expensive one if it’s not going to be used regularly. However, if your futon mattress is going to be used every day, you’ll want a high-quality one. When it comes to choosing a futon mattress, comfort is key. One of the best futons you can buy is one that offers maximum comfort. Whether the futon is going to be used regularly or just on occasions, you still want it to be enjoyable to sleep on. You should also remember that the best mattresses aren’t just good for sleeping on. The idea of a futon is that you can sit on it too, so you need to make sure it’s comfortable to sit on. There are many varieties of futon mattresses to choose from. Some will be heavier, some will be firm and some will even be memory foam. The type of mattress you choose is entirely up to you. Just make sure that it’s comfortable for everyone using it! While looks aren’t always everything, it’s still nice to have a futon that looks good. Some types of futon mattresses may offer plenty of comfort, but they may also lose their shape over time. This will result in them looking old and tatted so you need to remember to try and get the best of both worlds. Try and prioritize comfort over style when it comes to buying your futon mattress. However, it’s still important to keep in mind the aesthetics of the futon too. A mattress that offers great aesthetics and comfort is definitely the one to go for. Futon mattresses are generally considered to be way more affordable than traditional bed mattresses. 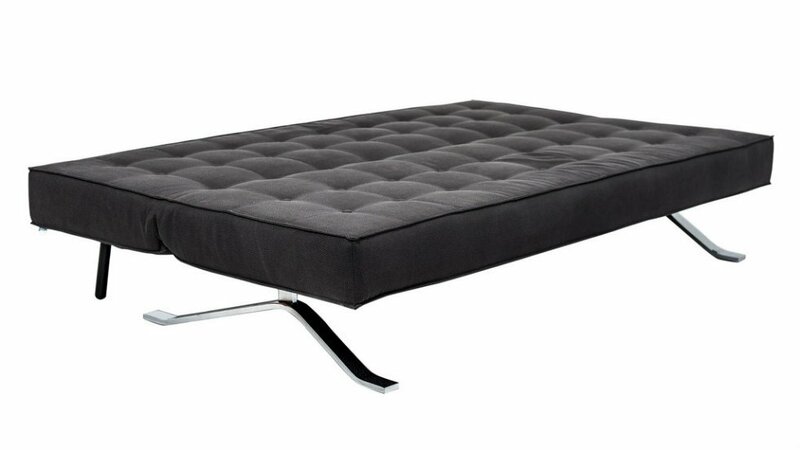 Because of their incredible versatility, you can often pick up a great bargain for your futon. Make sure that you consider all of your options before you buy. The most expensive futon mattresses aren’t necessarily going to be the best ones. There are a number of other factors to consider too. When it comes to buying a new mattress for your futon, you’ll have a lot of factors to consider. 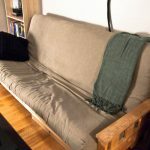 You should consider the price, comfort, and aesthetics of the futon. You should also think about the purpose and how often the futon is going to be used. This is so you can ensure you buy the best one possible. A futon is an excellent piece of furniture to invest in as they have so many uses. You can use it as a sofa, a bed and even as a storage place to put all your things on!